Eagle’s Income & Development Funds provide investors with immediate cash flow from existing wells. Additional upside potential is provided through drilling new wells and pursuing targeted improvements such as mechanical reworks and recompletions. Essentially, the Fund acquires on behalf of its investors a percentage of ownership in a working oilfield –– and works alongside other Working Interest partners to maximize production and revenue potential. Low Cost of Entry. With oil stubbornly hovering around the $50 per barrel mark, now is the time to buy income-producing oil and gas assets. The current pricing environment affords us the opportunity to buy these assets at a fraction of the price seen over the past decade or so––as low as $25 per flowing barrel. Distressed Assets. Working with our geotechnical teams, Eagle identifies and acquires quality, proven-producing assets that are in need of a capital infusion to bolster and enhance existing production. From simple mechanical reworks and replacing old equipment to fracking existing wellbores, Eagle puts a plan in place that quickly and methodically takes advantage of opportunities to increase the property’s performance potential. Our goal is driving an approximate 200 to 400 percent increase in output through targeted redevelopment. Income & Growth Opportunity. Your initial investment in an ENR Income & Development fund covers both the lease acquisition costs (with all associated producing wells) and the capital needed to pursue a predetermined––and detailed––development (new drilling) plan. Essentially, the Fund pools investor capital to acquire a sizable position in a working oilfield on behalf of its investors. From there, our experienced management and operations teams work alongside our operating partners to maximize production and revenue potential on behalf of Eagle and our investors. Tax Advantages. Active property development delivers substantial tax benefits including intangible drilling cost (IDC) tax deductions which can typically equal between 65 to 80% of the cost of drilling a well. In addition, leasehold cost deductions and an ongoing 15% of Gross Income tax exemption make Eagle’s Income & Development programs an attractive choice for accredited investors seeking tax relief. 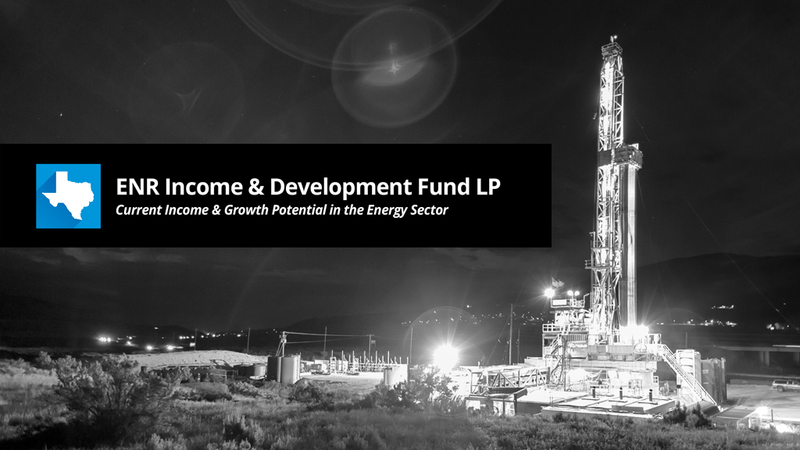 With a focus on delivering both income and growth potential, ENR Income & Development Fund may be a smart fit for investors seeking to diversify into domestic energy production.